Today's "New Band To Burn One To" comes to you from Lewiston, Idaho. 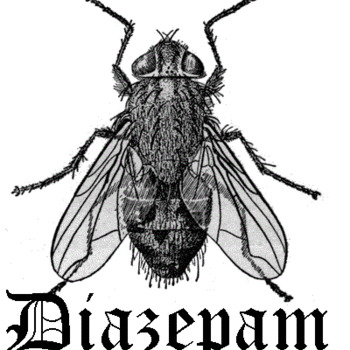 Diazepam is a 5 piece Stoner/Sludge/Doom band from Lewiston Idaho. Diazepam have been together Since November 2011. Lewiston isn't an easy place to start up a sludge band, and it was a strange twist of fate (or Matt trying to sell a Boss hyper fuzz) that brought them together. The Band's influences are the heavy hitters of Doom and Sludge, EYEHATEGOD, Saint Vitus, Corrupted, Noothgrush, Grief, Graves at Sea, Electric Wizard and a host of other slow, low tuned stoned freaks. Their new demo has been getting a very positive response. The Demo is available for free download at the bands bandcamp at diazepam.bandcamp.com or you can contact the band directly at diazepam_666@inbox. Currently the band is playing live to promote the demo and spread the word about the band. "Stripped down to the most raw and simplistic characteristics of Doom and Sludge, Idaho's Diazepam lays it on heavy with thick as tar riffs, slow as molasses rhythms and regurgitated vocals. Within the possession lies some pretty cool little nuances and nice warm and fuzzy guitar tone. Check out EP standouts "Satanic Ladyland", "Black Paint" and "Dissent". Prepare to be dragged into Hell."